On Monday, Chase and Starbucks announced a brand new prepaid Visa debit card -- the first prepaid or debit product that allows customers to collect “Stars” outside of Starbucks. Customers who have the card can link it to their Starbucks loyalty account and redeem the Stars they’ve earned at Starbucks retailers. Starbucks is touting the new card as the first -- and only -- prepaid card that lets consumers earn Stars with any purchase, whether inside or outside of Starbucks. Chase customers can use the debit card at any retailer that accepts Visa, both in stores and online. “We want to offer Starbucks customers a flexible card that delivers more Star-earning potential in the fastest way possible,” said Jennifer Roberts, head of Digital Products for Chase. The new card offers many new customer benefits that Starbucks lovers won’t want to miss out on. 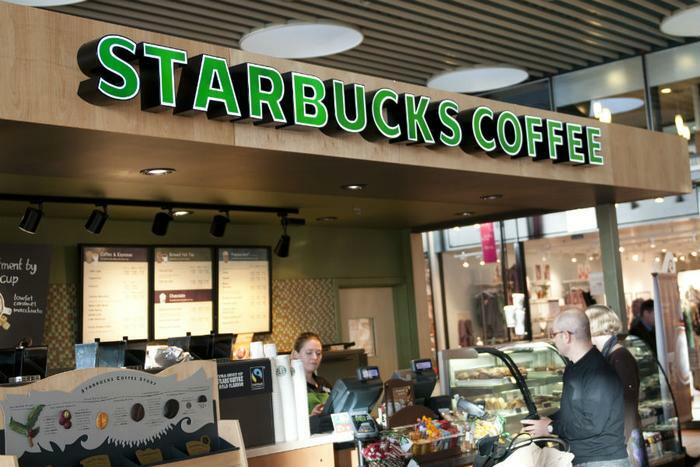 For starters, once enrolling, customers will automatically be promoted to Gold Status in Starbucks’ rewards program. This allows customers to redeem a free drink or food item each time they reach 125 stars. Additionally, upon enrollment, customers will receive 125 bonus stars once they use their Visa card to load $10 to their registered Starbucks card. From then on, they will receive one star for every $10 spent with the card. Other perks include birthday rewards, the ability to order ahead, and free refills in stores. Also, Gold Star status allows customers to earn double stars on select days each month. This new Visa prepaid card comes after the coffee chain announced a partnership with Chase -- and a different credit card -- earlier this year. This past February, Starbucks and Chase launched a Visa credit card that can be integrated into Starbucks’ rewards program. While the card offered customers a number of perks to help them earn rewards at Starbucks locations, it also came with a $49 annual fee.